Carving pumpkins into super spooky jack-o-lanterns is a favorite activity this time of year… but it’s SO goopy… and messy… and even a little dangerous! 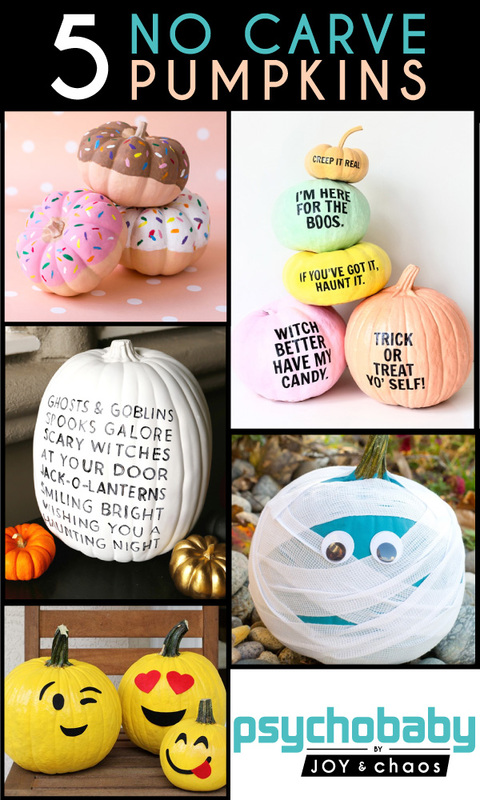 We found five amazing no-carve pumpkin decorating ideas to do with your little ones, or to do if you’re not in the mood to cover your entire floor with newspaper and be picking up pumpkin seeds & guts till Thanksgiving! Which one is your favorite? Share your best no-carve creations with us on IG @joyandchaosshop ! Kids Football Birthday Party Must-Haves! Have a total touchdown of a birthday with these awesome personalized football birthday party ideas! Rock your custom football birthday shirt like the MVP you are, whether you’re a first birthday rookie or a old pro. Make your party team-mates feel like superstars too, with our personalized gift bags and gift boxes. Every seasoned player knows it’s important to stay hydrated (although we do NOT recommend taking Tom Brady’s water drinking advice), so make sure you have plenty of custom labeled water bottles on hand for you and your crew. Are you planning a football themed party? Let us know what football favors and sporty snacks you and your kiddo chose! And visit our football party ideas pinboard for even more fun football birthday inspo! 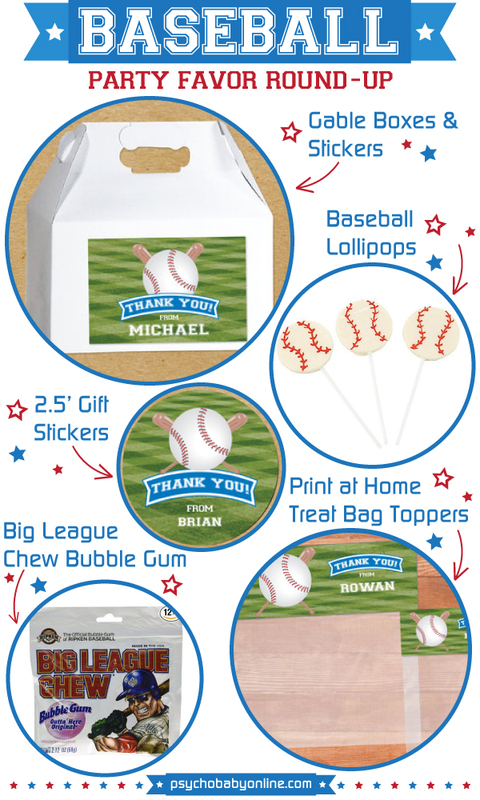 Have a grand slam birthday with these personalized baseball party favors! All you have to do is choose a container and some fun sporty goodies to tuck inside. Pair our easy to assemble gable boxes and stickers with a classic baseball themed bubblegum (remember that?! ), or our super fast print-at-home snack bag toppers filled with these cute baseball lollies…. or whatever sporty snack your kiddo likes best. Use our cool custom gift stickers to decorate other party items or treats! And visit our Play Ball pinboard for even more fun sports party ideas! 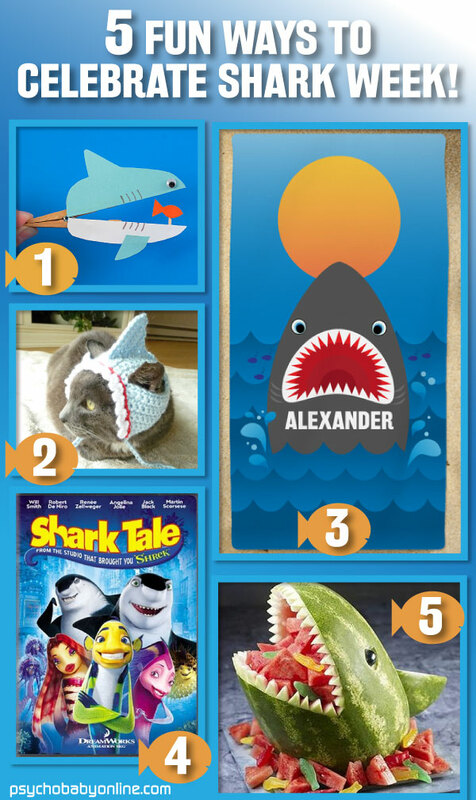 We are excited to introduce you to our newest collection of kids party & printables! 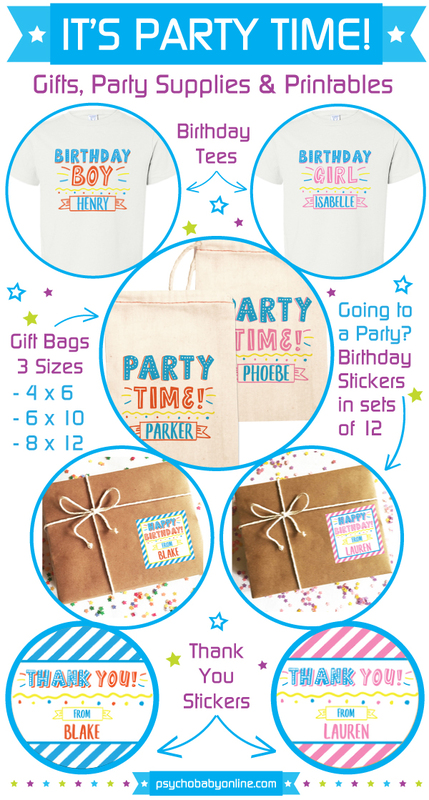 We are excited that our new Party Time design is becoming an instant customer favorite! Iron On Birthday Transfers: We will print & ship your Party Time T-Shirt Transfer or you can print yours at home and easily iron it on your favorite tee! 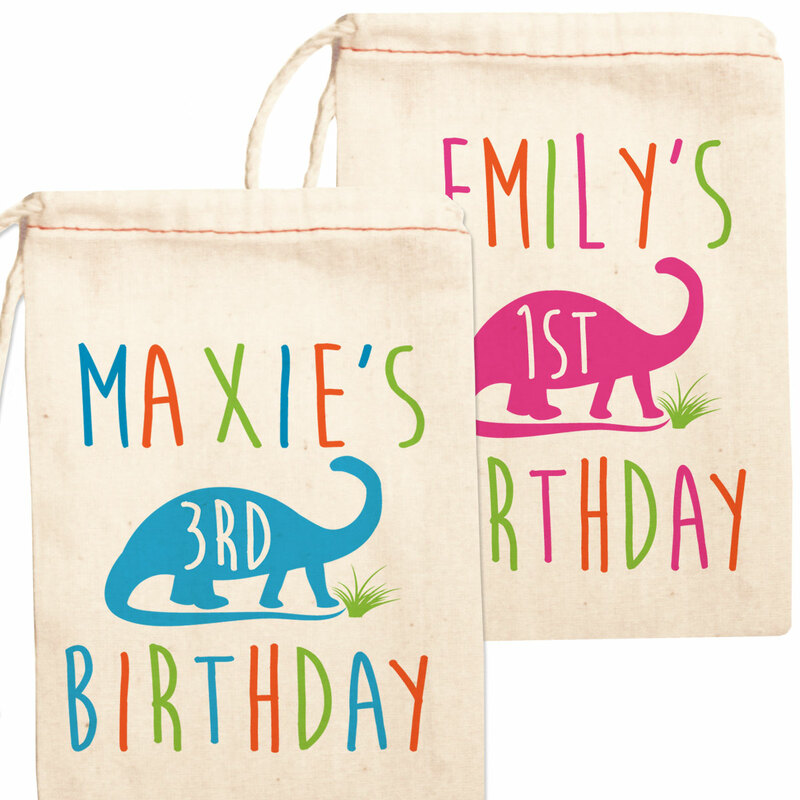 Personalized Canvas Bags: Fill these kids Party Time Gift Bags up with candy, small toys or any other cool treat. Personalized Birthday Stickers: Am I the only one that often has three kids birthday parties in one weekend? LOVE having these Party Time Gift Stickers on hand to jazz up wrapped gifts or gift bags. A super cute time saver! Personalized Thank You Stickers: Do you have gift bags or boxes that you want to dress up yourself? Cool. These Party Time Thank You Stickers are for you! We have seen all the clever things you all do with our stickers and love the idea of helping you bring your ideas to life! 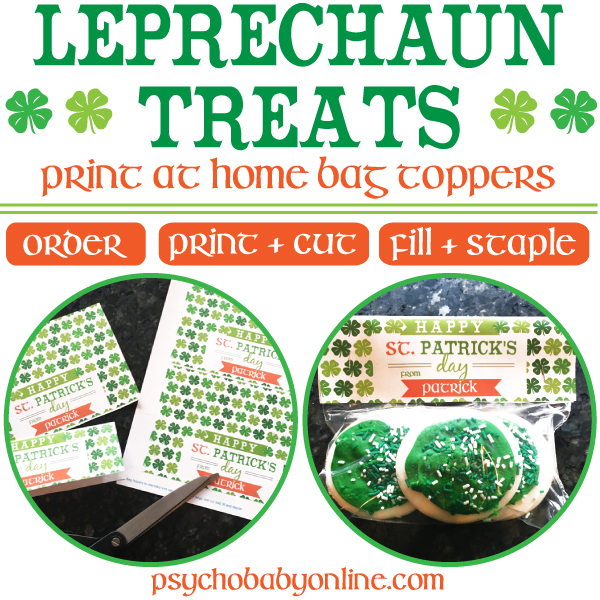 Looking for more party & printable ideas? We are designing weekly so leave us a comment, email us or shoot us a message on Facebook and tell us what you are looking for. Throw a totally dino-mite party with these awesome dinosaur birthday ideas! 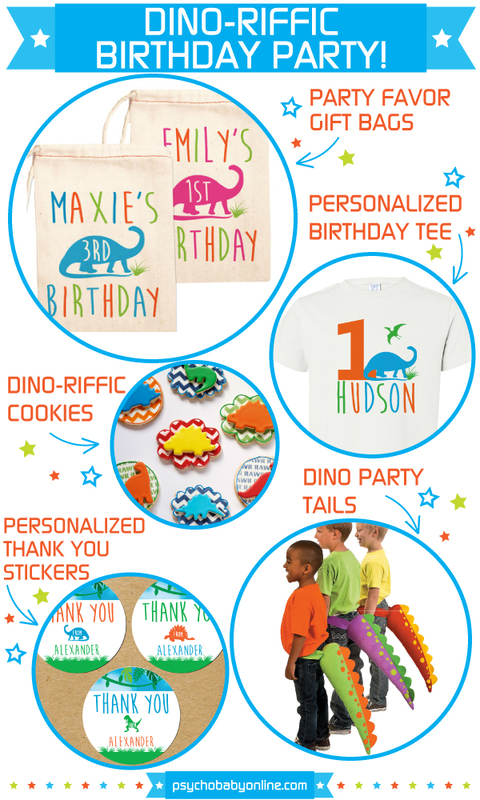 Dress the part in one of our personalized dinosaur birthday t-shirts and a cool, colorful tail. Once you’ve worked up an appetite stomping around, herbivores and carnivores alike will get a kick out of refueling with one of these fun dino cookies. Say thanks (or “RAAAAAAAWR,” if you’re speaking dinosaur) by decorating your favors with these customized stickers that you can even print from home! 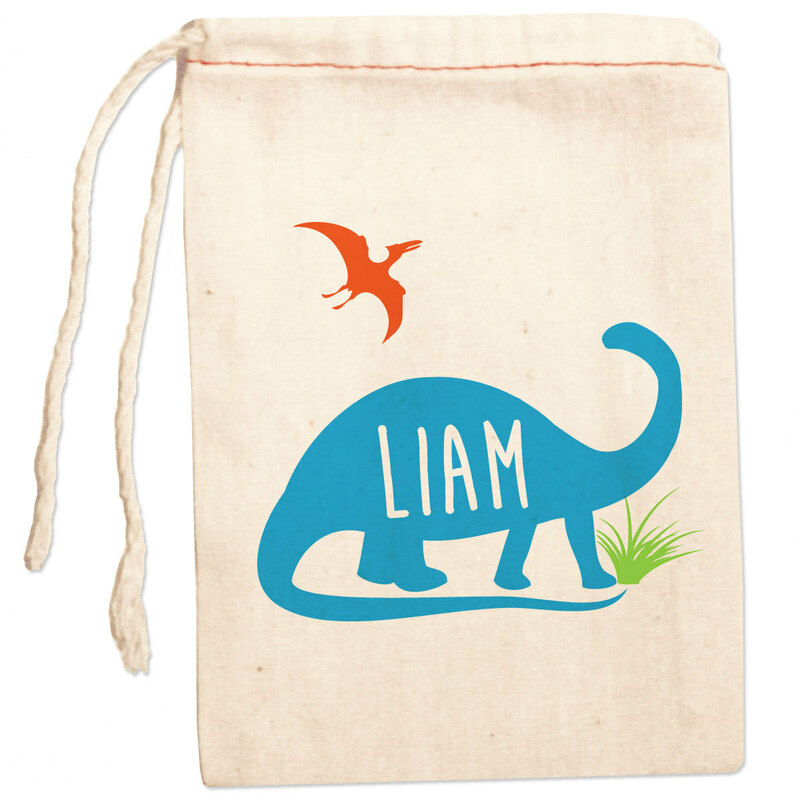 Or tuck some tiny gifts into a reusable favor bag, these ones come in two fun color options. Are you planning a dinosaur party for your psycho-saurus? 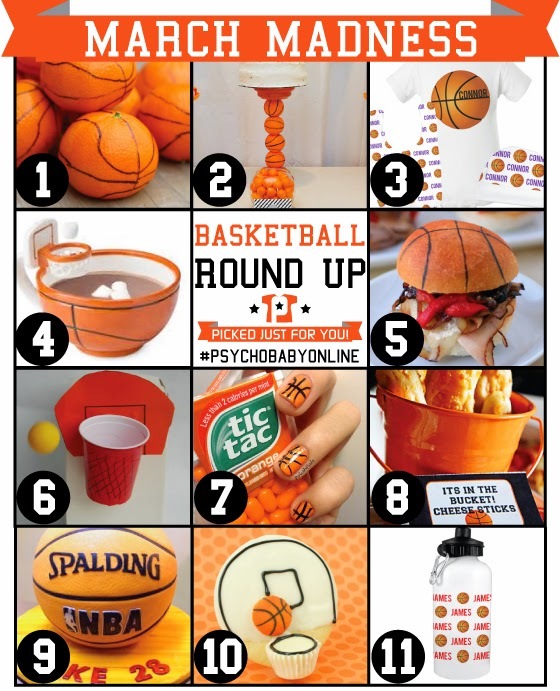 We love seeing your photos, share with #psychobabyonline! AND if you like what you see here, we’ve got plenty more to keep your little ballers happy all the way to the Finals! Check out our Play Ball Pinterest Board and hit the court! We mean the couch! Or if you’re feeling really adventurous and hungry – the kitchen!